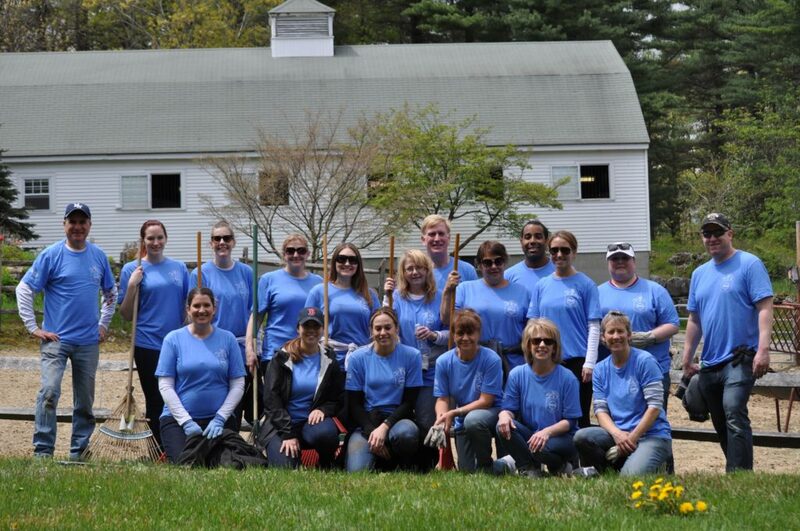 Thank you for considering becoming a volunteer at Windrush Farm. 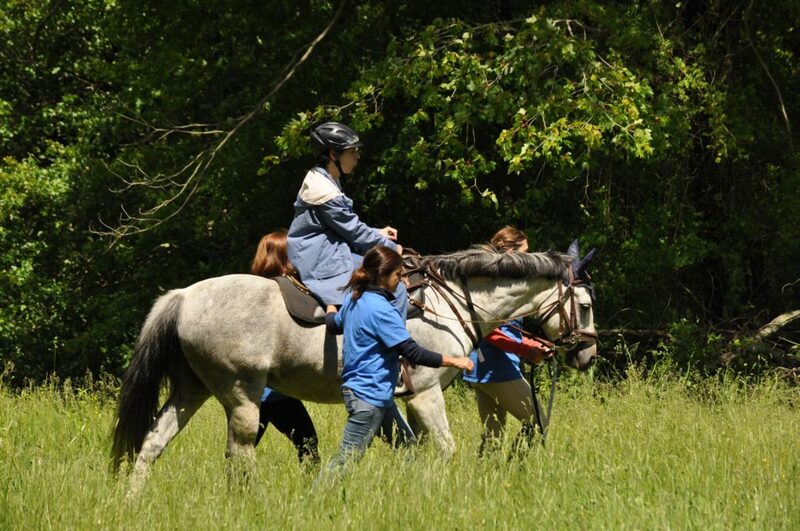 We have opportunities for people without horse experience as well as experience horse people. Whether you have an hour a week or a day a year we have an opportunity that will match your availability and your interests. We offer a short training session for all volunteers who will be helping in class. Volunteers should be able to walk and jog alongside the horse at a trot. We also offer a few “walk-only” classes. No horse experience is required for to be a sidewalker. A sidewalker walks and/or jogs alongside the horse to help keep the rider safe and achieve his/her goals. This may involve a safety hold of the client for an entire lesson, or a more hands off approach, depending on the needs of the client. The sidewalker is an extension of the instructor, who helps guide and coach the client through the lesson. Some horse experience is required to be a horse handler. For our unmounted programs, horse handlers help the client learn to groom and tack a horse. Horse handlers need to have good horse experience (such as owning a horse or similar experience) and a willingness to utilize Windrush techniques to keep handling skills consistent for our horses. 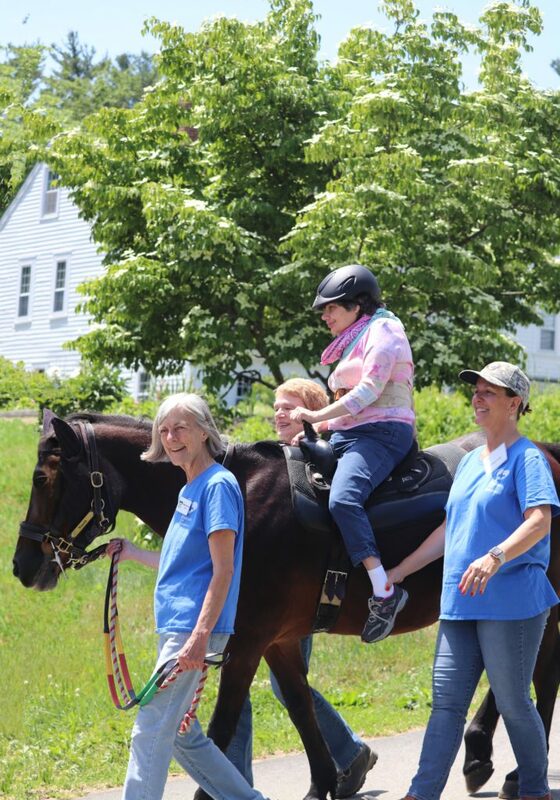 Volunteers in our “Barn Buddies” program work one-on-one with a client, who may or may not be accompanied by a caregiver. 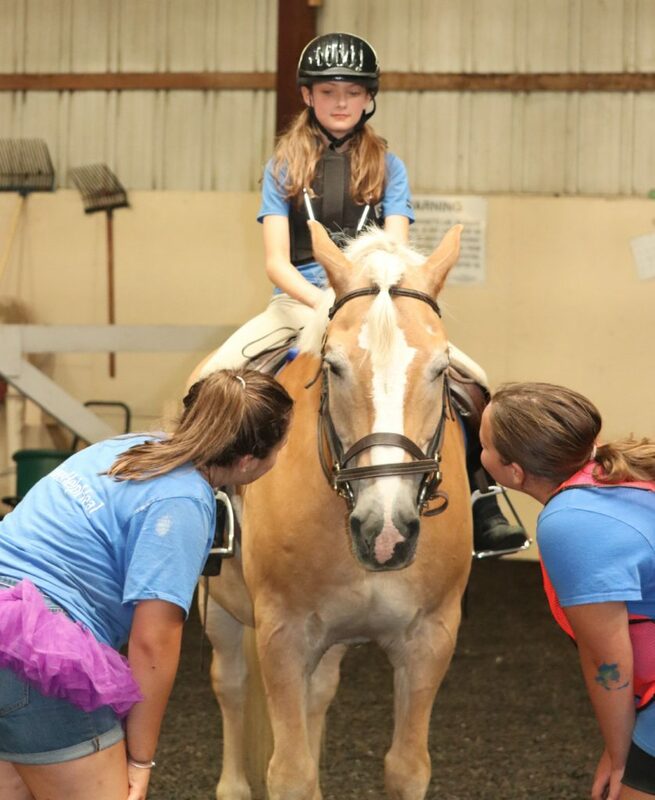 The volunteer will help teach the client about various topics which may include horse behavior, horse management, horse health, and barn management. Barn Buddy volunteers should have good recent horse experience and a willingness to utilize Windrush horsemanship techniques. 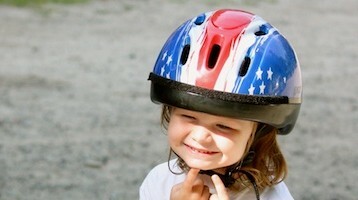 We run all-day week-long programs for children from the end of June until mid-August. 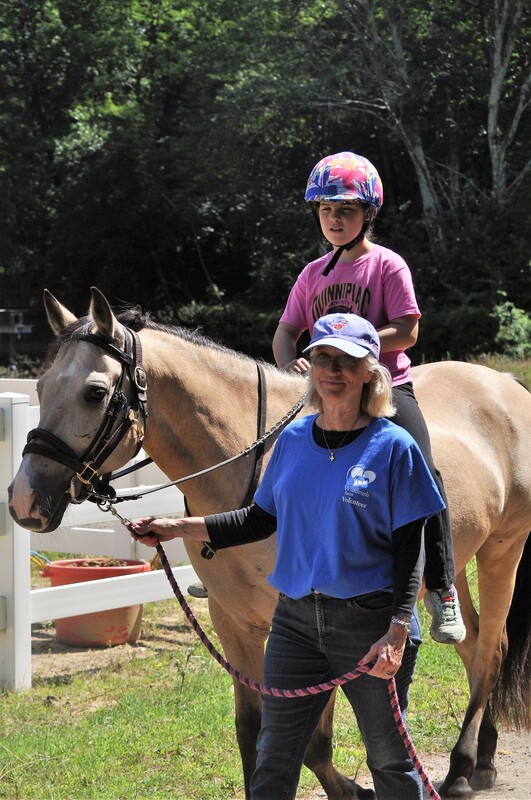 We need volunteer s with horse experience to help with both our recreational and therapeutic programs. Volunteers are an extension of the instructor. They help teach our clients to groom and tack, and give lots of encouragement! Volunteers also help with general barn chores such as turnout and feeding. 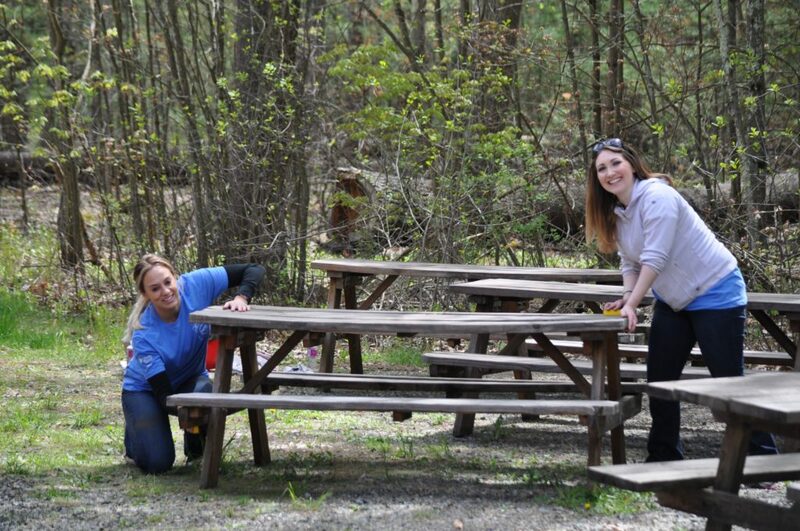 Volunteers are asked to commit to at least one full week of volunteering in the summer. Some programs include reading, writing and gardening as part of the curriculum. Windrush Farm is a 38-acre working farm, with access to miles of trails. We always have something do on the property! 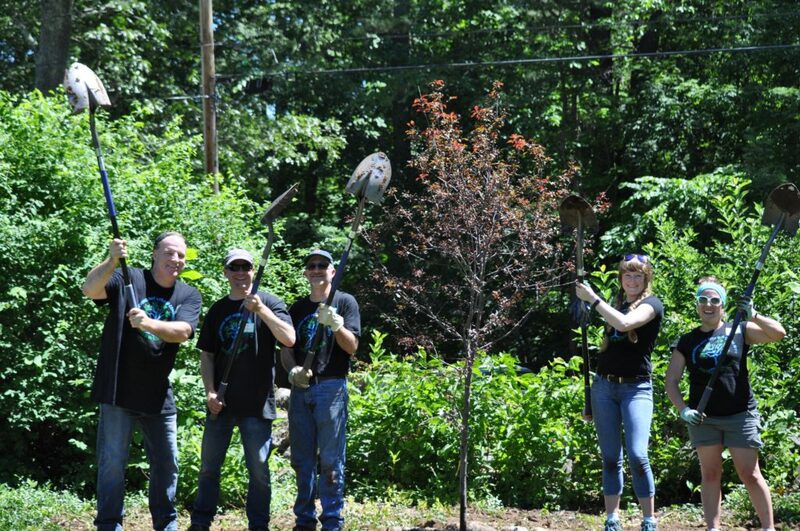 We welcome groups to help with a wide variety of projects including: painting, cleaning, washing, fence mending, clearing trails, building new pathways, weeding ans mulching . Projects can be from two hours to a full day. We look forward to seeing you and your co-workers and friends on the farm and thank you in advance for your help with maintaining Windrush for our clients and horses.